Brothers and Bright and Shining Lights! In walk four year-old Tobias and six year-old Galen, with dozens of brand new toys and books to donate. They told us a remarkable story, that their parents had helped them celebrate their respective birthdays; Tobias with a swim party and Galen with a football party. They asked their friends to bring an unwrapped present for GiftsToGive to help local children who were not as fortunate and would not get a birthday present! In this crazy mixed up world we live in, over 24 million American children live in poverty. On the South Coast over 50,000 children live in poverty. For a lot of them, their birthdays are just another day! To have this family share their values, not only with their children, but with their community is priceless. These brothers are surely bright and shining lights and for us, a great hope for their generation. Help a child celebrate their birthday ... one share at a time. A child’s birthday is a very special day! A child’s birthday is a very special day. Its acknowledgement is important to the development of self-esteem, and we know that self-esteem begins at home, and that healthy self-esteem is critical to a child’s ability to develop and learn successfully. One in five American children live in poverty. For children who are living in poverty and/or homeless, birthdays pass with little or no celebration. Many children do not believe they have a birthday, or that they deserve a birthday, since it is never celebrated. For lots of children, their birthdays are just another day! Over 30,000 SouthCoast children live in poverty, for a lot of these children their birthdays go unrecognized. Do your children or grandchildren, nieces or nephews, get more gifts on their birthday than they will ever need or use or even play with? Is there a grown-up in your life that deserves a HUGE birthday party and your guests could bring educational and scientific toys and books for children? 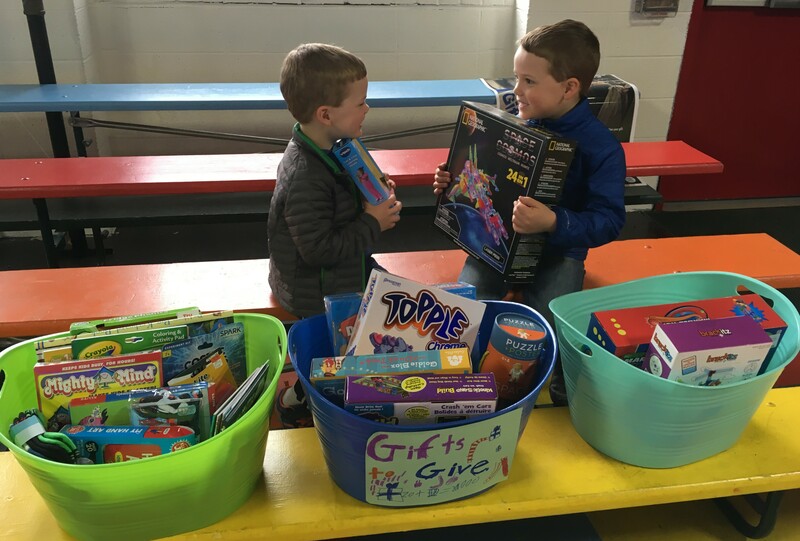 When Nate invited friends to his birthday party, he asked them to bring gifts of new socks and underwear for boys and girls who didn’t have the things that they all had. Paige sets a most perfect example! Paige is a SuperHero to us! Eight year-old Paige, did something amazing on her birthday. 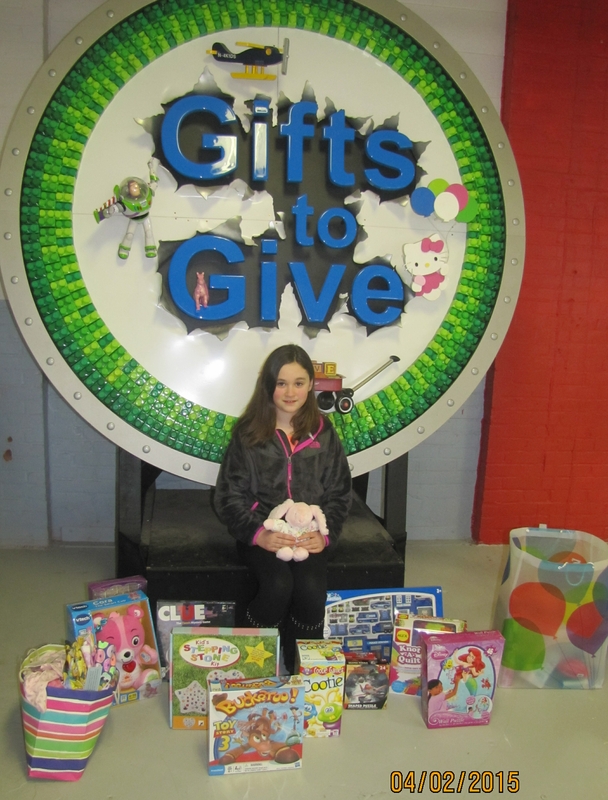 Her parents held a party and Paige asked her friends to bring a new birthday present for a GiftsToGive child, who would not ordinarily receive a gift on their birthday. We just met two remarkable women; Kellie, an ageless beauty and Elmore, a five year-old beauty, brainiac and philanthropist.